I’ve used Berroco Comfort to make a lot of winter accessories. Most recently, I crocheted a hat for my nephew and knit a pair of fingerless gloves for myself. It seems only natural that a scarf would be next on my Comfort “knit list.” As I was looking for patterns on Ravelry, I noticed that a lot of you have chosen Comfort for your scarf projects, too. So what makes this basic one of the best? For one thing, all of our Comfort yarns are super soft. They are also machine friendly – wash and dry – which make them practical, too. Best of all (at least in my opinion), they are available in pretty much every color under the rainbow. When it comes to Comfort, you’ll never have trouble finding the perfect shade to complement your winter look! 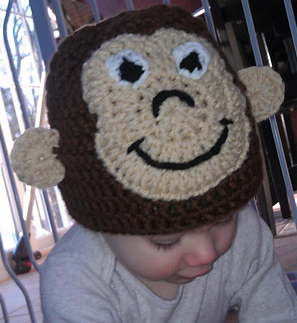 I crocheted this hat for my nephew using Berroco Comfort Chunky. Should I make a matching scarf? I’m still deciding on the pattern for my scarf project, but I though I’d share a few of my favorites from Ravelry, all knit with Berroco Comfort. Between the self-striping effect of Berroco Comfort Print and the texture of the seed stitch pattern, a simple scarf never looked so cool. Raveler NewfieCatt actually knit two at once – one for each her daughters – using a shade called Jungle Book (#9865). 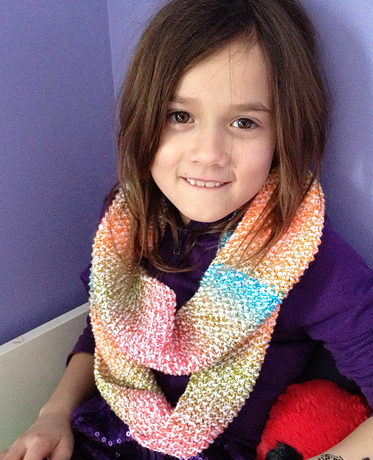 The bright colors are great for kids and she only needed one skein per scarf. Of course, the pattern can be easily adapted for adults. The only thing you might want to change is the colorway and the length. Raveler tazzteacher made another one skein scarf with lots of texture. She used a free pattern from Jeni Chase, which features wide ribbing in the middle with perpendicular ribs for trim on either side. She chose the Astor shade of Berroco Comfort (#9737) but reduced the number of rows per repeat to accommodate her yarn supply. It knit up so quickly, she finished the same day she started! If you’re looking for a fun scarf for kids, this alligator project is a great choice. Raveler yarnvixen knit hers in Berroco Comfort Chunky for extra warmth. The shade she chose is called Adirondack (#5752), but after seeing this scarf I’m convinced we should rename it Gator Green. I love that the texture of the pattern makes it look almost three dimensional, but my favorite thing about Luc’s Gator scarf is its decorative eyes! It’s the perfect finishing touch.